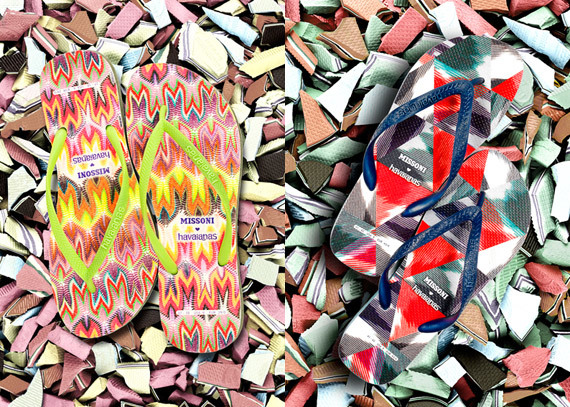 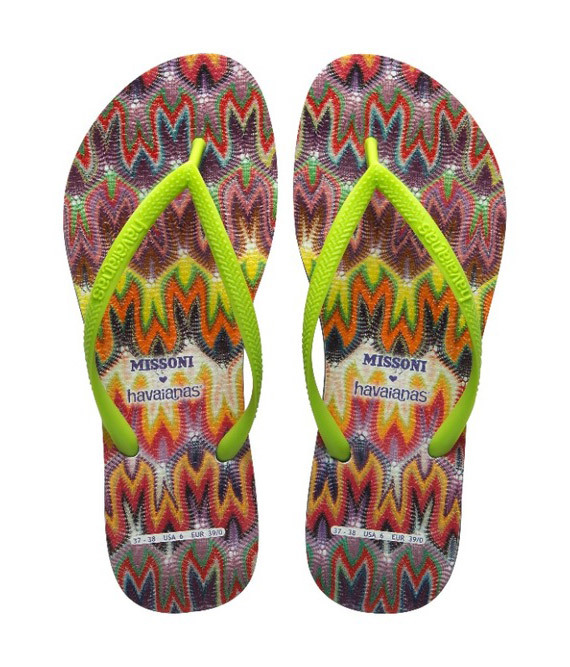 Last year Havaianas got everyone going cray for the Missoni ♥ Havaianas Collection, they’re back again for their second collaboration which is slated to launch in June just in time for summer. 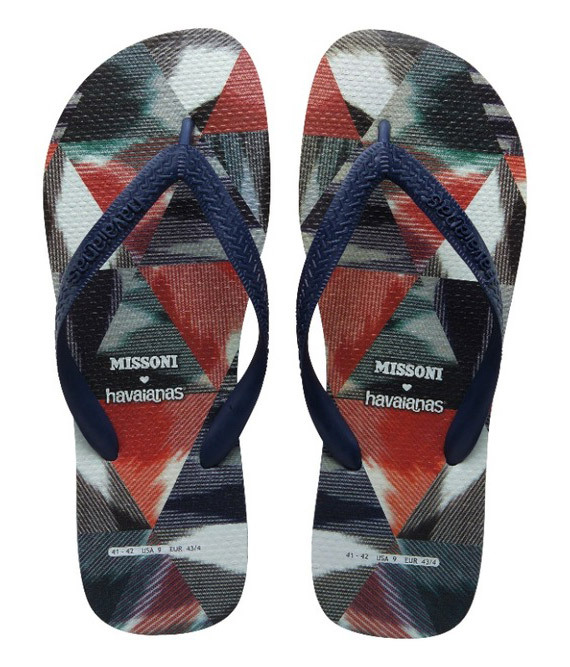 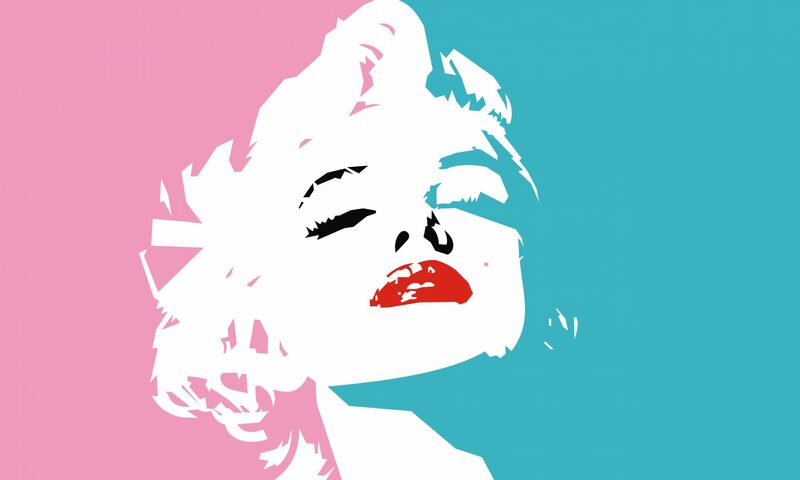 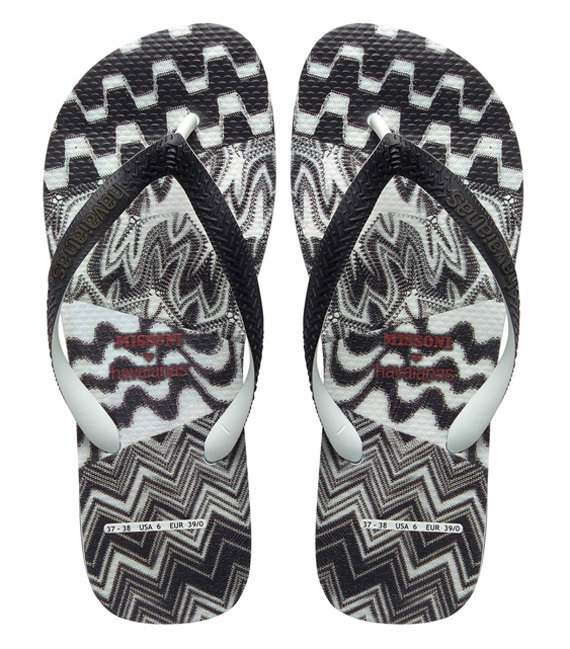 The collection will be available at Bloomingdales, Nordstrom, Missoni boutiques, and on havaianas.com. 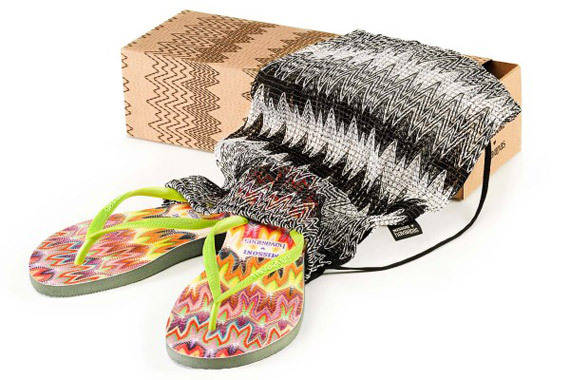 What makes this collection even more special is that it is “eco-friendly,” made from leftover rubber pieces from the manufacturing process and are mixed to achieve the unique signature Missoni zigzag patterns. 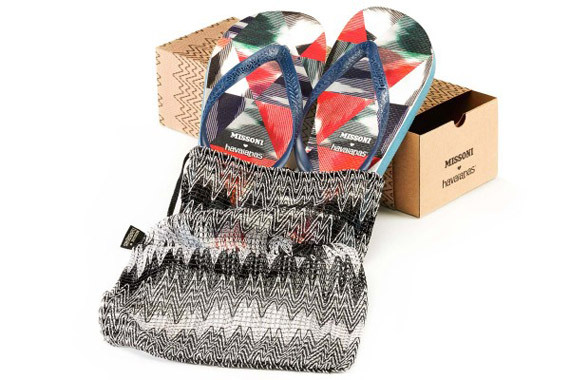 Every flip-flop comes exclusively packaged in a special packaging made of recyclable material and comes in a Missoni knit bag.